Salazar-Naquin-Zimmer-F.Mejia for Trout ! Not enough? Turner's speed is close to Hamilton's? 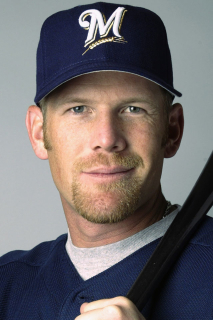 goeff jenkins was the one who looked like brett favre right? Whats the deal with the Indians continuing to play Naquin and Davis in CF now that Almonte, the guy who solidified CF defensively last year, is back? Anti-"frolf" because it references, specific brand of disc, you enjoy your created words to have an entymalogical origin rather than just jamming two words together, or choice c that I can't think of? Corey Seager is currently tied for the NL lead in fWAR. If the Dodgers win the division, what are the chances he wins the MVP? Let's say Mike Trout retired at the end of this season and never returned to the game. Is he a HoFer *right now*? Quintana Cy Young?? Isn't a 4.07 xFIP concerning? What am I missing? Alright, y'all. thanks for hanging and chatting. gonna get to writing. thanks for the handful of you that gave me new topic ideas!